I'm starting up a weekly post that will include a video loosely related to the topic of science and religion (of course, with room for flexibility). So if its Saturday, you can tune in here to see a video of something relevant to the topic. The clips will range from 5 minutes to an hour. The videos are actually hosted on Youtube/Googlevideo etc. and the links are from a website (topdocumentaryfilms.com) that just collects documentaries and embeds them on its pages. Why do we react negatively to cloning humans? Can Google be used to predict political unrest? 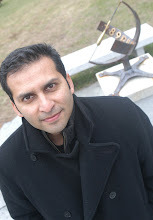 Check out "The Incident at Tower 37"
Blogging from Pakistan: New Rock Star Authors! Free-will issues in "The Adjustment Bureau"